Lately I’ve discovered a new power of seeing small: it can make good things even better. Although I still practice seeing small whenever I catch myself worrying or feeling anxious, I need to invoke small much less than several years ago. This realization, plus several talks I’ve given lately inspired me to expand the possibilities of small. Now, I am learning to zero in on a small portion of one moment of beauty. 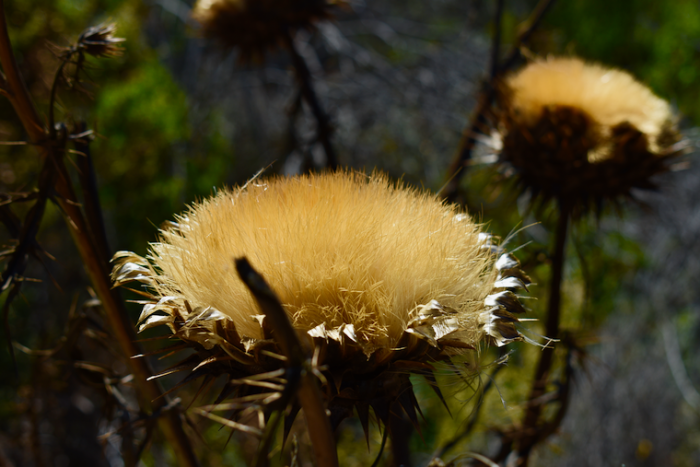 Hiking in Tilden Park with my husband, Stephen, I admired a stand of giant thistles gone to seed. After snapping a photo of the entire stand against the backdrop of the hills, I moved in and captured a close up of one thistle head. A bit later, I took a photo of a leafless tree, its bark mottled with orange. 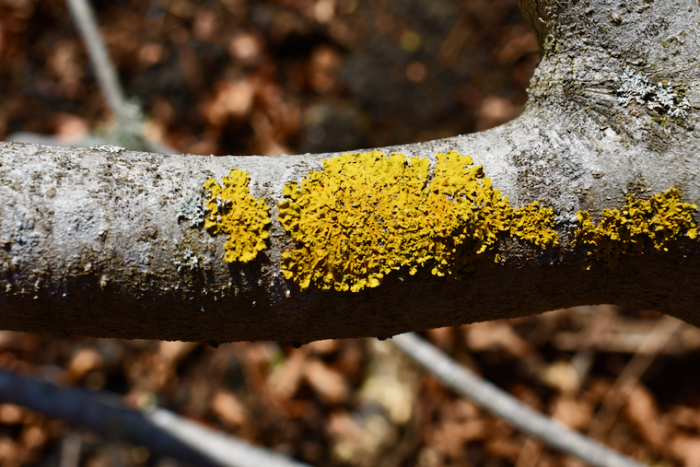 Then moved closer and shot a patch of orange lichen on a branch. 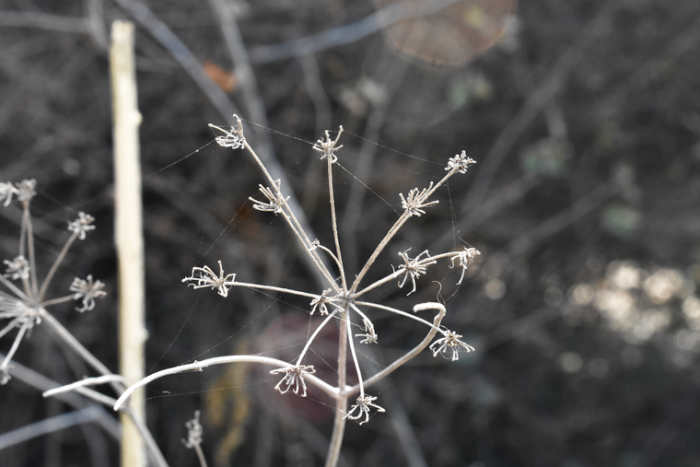 Just up the trail, we came upon a stand of wild flowers gone to seed. The stand itself was lovely, but a close up of one flower head was exquisite. At the start of the hike I was happy with anticipation. By the end, I felt euphoric. I think you can see why.